At 11:46:01, California time, on a foggy Monday in January 1986, the universe - suddenly, inexplicably, without warning - bifurcated. Fast-forward to 35 years later: Felix Sayers is a culinary writer living in San Francisco of Universe A who spends his days lunching at Coconut Café and dreaming of a successful career penning Agatha Christie-style mysteries. But everything changes when his Aunt Henrietta dies, leaving Felix a photograph of his father and himself - dated 10 days before Felix was born. It can only mean one thing: Felix has an "alter" in Universe B. It seems Mercury was sent from heaven to make preparations for Armageddon, yet became sidetracked by the earthly delights he discovered: Rice Krispy treats, table tennis, and beer, to name just a few. Mercury’s concern for the fate of mankind is middling at best, but he is happy to educate Christine on the details of the elaborate, if poorly organized, calamity to come. 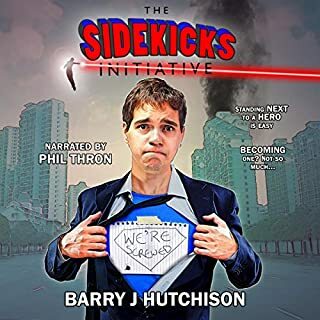 When Christine inadvertently saves the Antichrist - an obnoxious, thirtysomething gamer who still lives with his mother - from celestial assassination, she begins an ambitious battle to stop the Apocalypse and save the world. But the heavenly host is nothing if not persistent, and Christine, aided only by an apathetic angel and a reluctant Antichrist, has her work cut out for her. Packed with outrageous characters, Mercury Falls is a viciously funny (and occasionally absurd) morality tale for the 21st century. 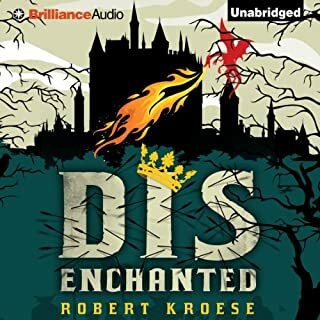 ©2010 Robert Kroese (P)2012 Brilliance Audio, Inc.
Love this book! I would have never guessed that a book about the Apocalypse could be so enjoyable! If you enjoy the writing style of Douglas Adams, you will really enjoy this book. It is witty and has a great plot, and the characters are interesting and funny. I laughed out loud quite often. The narrator is also excellent, he does a great job distinguishing the voices too. Highly recommnended! Can't wait to listen to the rest of the series! This book is probably my favorite in the series, though I loved the whole series and was sad when it ended. Mercury is a great character. His take on "being a prawn" as opposed to a pawn is hilarious. I want to say that from now on. Very funny, very entertaining and worth reading the whole series. It's time for the apocalypse, isn't it? All the signs are lining up: wars in the mid-east, the anti-christ has been selected, and six of the seven books about that boy sorcerer and his friends have been published. So why is Christine always in the right place, at the right time, to do what? Is she supposed to help or hinder? In fact, it's not really clear who is in charge and what they are trying to accomplish. Angels seem to be operating at cross purposes. Don't miss the apocalyse vs flooring theory of history. Countless times flooring issues are ignored because of the expectation that it won't matter anymore soon, only to have to deal with it after all because the Apocalypse fails to appear on schedule. Again. The book has a great assortment of characters, acting rationally and irrationally. Humor abounds and it even all makes sense, in the end, mostly. Don't miss the cherubim who works for tips - tips he insists on giving out such as "ants walking single file means rain". The story flows well without slow spots. The reader is well matched to the material to bring the whole squirrely thing to life. It does for the apocalypse what "Caddyshack" did for golf. What did you love best about Mercury Falls? 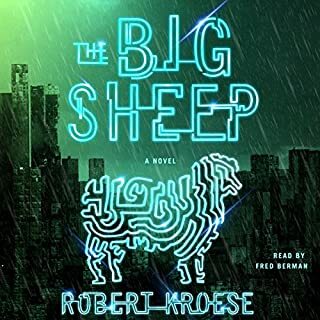 This is a book that translates very well to an audiobook. It was a fast paced entertaining tale that kept me both amused and interested throughout. It's just so amusing and irreverent. Very smoothly told with great character portrayal. If you could take any character from Mercury Falls out to dinner, who would it be and why? Mercury for being just so blase about the entire situation. Great complex humorous story nicely wrapped up at the end and keeps you wondering. Would recommend if you like humor and a complex well rounded story. 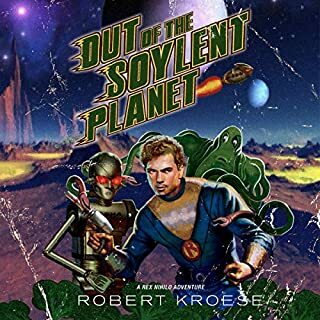 Would you try another book from Robert Kroese and/or Kevin Stillwell? What was most disappointing about Robert Kroese’s story? If this is funny, it must be in an American sense of the word, I dont get..? I found it boring and with only a few funny moments. Not even if I got money for listening.. When he talks normally its fine, but he has zero talent for foreign accents (or any other accent), he just sound stupid when he tries. 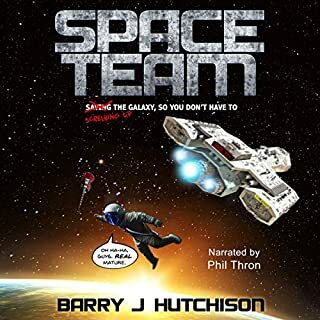 If you consider buying this because of the recommendations - beware its NOTHING like Douglas Adams as someone wrote, no dry wit, intelligent humor or subtle jokes - its like Donald Duck funny.. The premise of the story is great. The writing is good, if overwrought. The performance is superb. It's just that it goes on and on and it could have used some clever editing to move the story more smoothly. 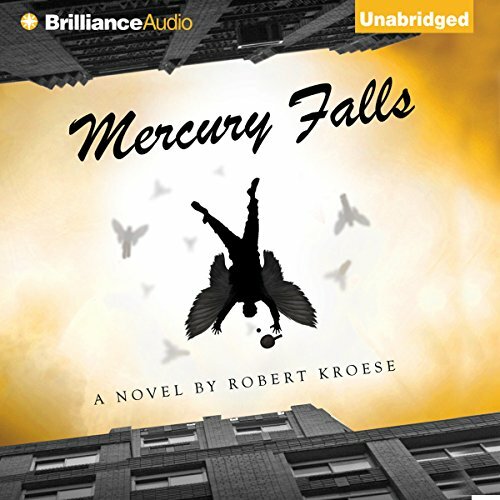 Where does Mercury Falls rank among all the audiobooks you’ve listened to so far? Awesome story, almost believable. If you enjoy stories on the supernatural or spiritual books you will enjoy this one. I hope he writes more. Due to a sale or just random purchasing I happened on The Big Sheep and thoroughly enjoyed it. Moved on to Mercury Rising - again on a good Kindle-related sale - and have finally found a writer almost as good as Adams for sheer nonsense and a wonderful use of words. And maybe its the angel/devil/apocalypse thing, but it also evokes the Pratchett/Gaiman Good Omens. 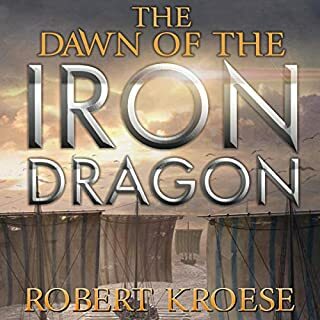 I don't think there can ever be a replacement for Adams or Pratchett, but so far, at least Kroese is someone to consider. This is the first book in the Mercury series; right now there are five books in this series. I got this book for Kindle right when I first got my Kindle e-reader, then I bought the audiobook for cheap. I ended up listening to the first 70% of this on audiobook and then stopped. This reminded me of a many other apocalyptic books that aim at being snarky and humorous about the corporate-like reign of angels and demons. I actually kind of enjoyed this book at first; it was snarky and darkly humorous. As the book continued it just sounded like so many other books I have read like this and it started to irritate me more than it entertained me. Think of this as a knock off of things like the movie Dogma or "Good Omens" by Gaiman and Pratchett. This is another one of those books in that "oh look the world is going to end because of mismanagement by God". However, this book seemed to try a bit too hard and I found it to be silly and annoying. The characters were just over characterized and ended up being more irritating than entertaining. Overall this just wasn’t my thing. It was a like a poor imitation of books like “Good Omens” or the Hitchhiker’s Guide to the Galaxy series. It’s written in that same over-the-top snarky way, but I just didn’t think it was as well done. not my usual fair but it's quite an interesting listen. compelling characters and hard to stop.